Most of the authors target their articles meticulously to get high performance and fast traffic to their websites, but they often fail to deliver the required quality in their articles. This may be one of the reasons why websites are getting low traffic as expected or predicted earlier. This is the reason it is necessary to write articles according to the current trends and guidelines. Writing high-performance articles is a critical task and it needs high degree of insight and meticulous details to consider. Writing articles as per the situation and prevailing condition is what matters most. One of the first and foremost things to consider while writing is to set goals beforehand. It will not only create writing value, but also help you to write more effectively to achieve your goals. It will automatically direct you to write in a directional manner to create positive value and to put needed impact on the readers mind. However, if you are unaware of the basic facts, then you must notch up your skills/techniques before delivering your article. One of the basic yet intuitive strategies is to set goals that are achievable and specific. Setting a goal in advance never allow you to wander here & there and restrict you to write vain stuff. 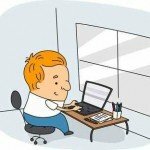 This technique can make your article more informative, sensible and intuitive. Secondly, you must focus on your faults (logical error, grammatical mistakes, formation of sentences, language semantics, guidelines of article writing and the most vital sentence structure) by emphasizing your faults you can highlight your difficult areas. It will allow you to work more diligently, in a planned manner and language-sensitive to never repeat them in future. It will help you to rectify your faults and eventually speed up your writing skills. Most importantly, you should try to stick to a specific topic; it will help you to write strongly and firmly on a subject. It will also engage you to write relevant matter within a timeframe. In this way you will never miss your deadlines, which will ultimately promote you to the next level of excellence. Also, you should train and guide your mind before writing. You should relax yourself before jumping down to jotting your words. Relaxation before writing not only build up your level of confidence or improve your writing skills, but also give you enough time to re-think and reconsider your thoughts. Remember, article writing is more than an art; it should not be considered as a practice of jotting down words in a fluent and adroit manner. It is all about describing thoughts at length in an informative and intuitive sense so that it can engage maximum number of readers and enhance business value. The author is associated with Easy Submission. Easy Submission offers organic search engine optimization, press release writing, article writing, article submission, off page seo, social media marketing and link building services globally. They help their clients to get high rank and generate only targeted traffic from genuine sources. They offer measurable results and their clients enjoy high returns- on-investment [ROI].